We are coming up to Labor Day weekend, at least for readers from the United States. You might wonder why I’m mentioning this, since Labor Day is a secular holiday, and I usually don’t write about secular holidays. It turns out that our Book of Common Prayer has a collect appointed for Labor Day. You can find the contemporary version on page 261. It’s a lovely prayer, isn’t it? That prayer dignifies the work that we all do, whether we are employed or not. It also reminds us of the importance of all those others who work and of those who lack employment. If you are in the US celebrating the holiday, I hope you’ll set aside a few moments for prayer or conversation with those around you. Remember the dignity of work and the indignity of exploitation. Pray for those who, in our culture that assigns value to people based on income, lack employment. 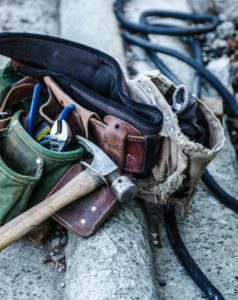 Think about how everyone has a vocation, and ask how God might be calling you and your loved ones to labor? Guided by the gospel imperative to “Go and make disciples of all nations,” the ministry of Invite Welcome Connect equips and empowers individuals and congregations to practice evangelism, hospitality, and connectedness. 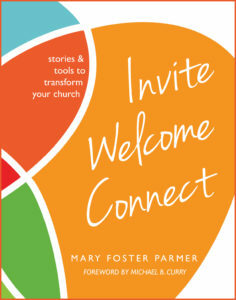 Invite Welcome Connect’s founder, Mary Parmer, shares the deep truths of this ministry as well as practical steps to assess your faith community and begin implementation. This resource also features stories of transformation from more than two dozen lay and clergy leaders. Foreword by Presiding Bishop Michael B. Curry.